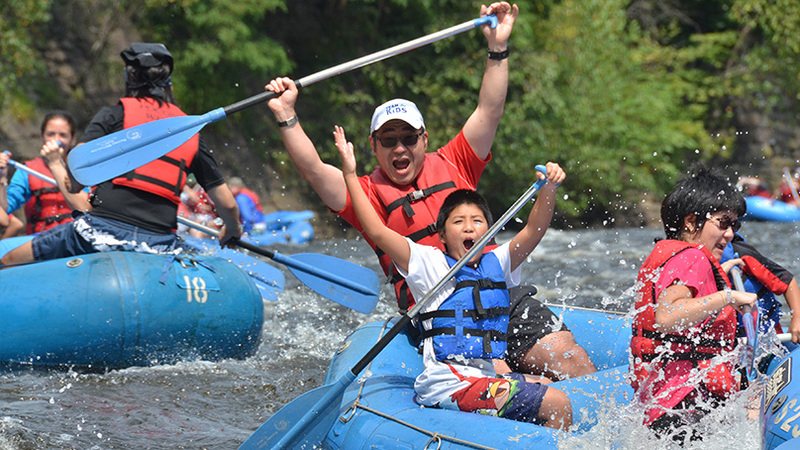 The perfect whitewater rafting trip for the whole family. 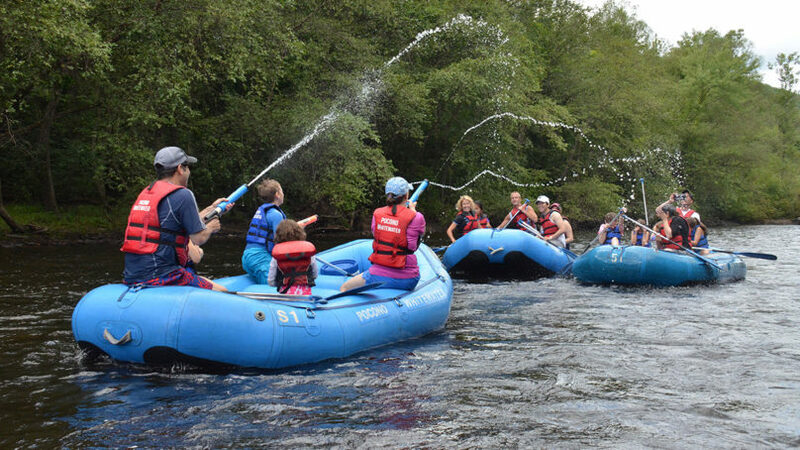 Join us on a guided, 3 to 4 hour family style rafting adventure on the Lehigh River in the Pocono Mountains of Jim Thorpe, PA. This 8 mile, Class I and II whitewater rafting trip also has a touch of Class III whitewater. 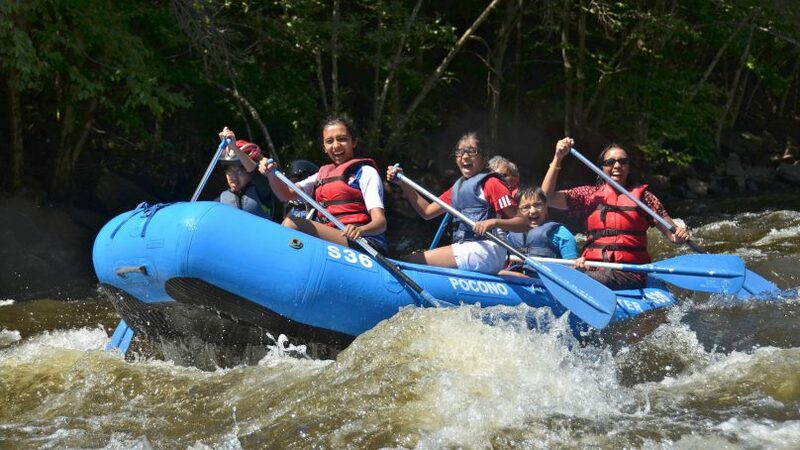 This rafting section of the Lehigh River is ideal for everyone; beginners, kids ages 4 and older, school groups, as well as adults that just want to kick back and enjoy the great outdoors in the Pocono Mountains. 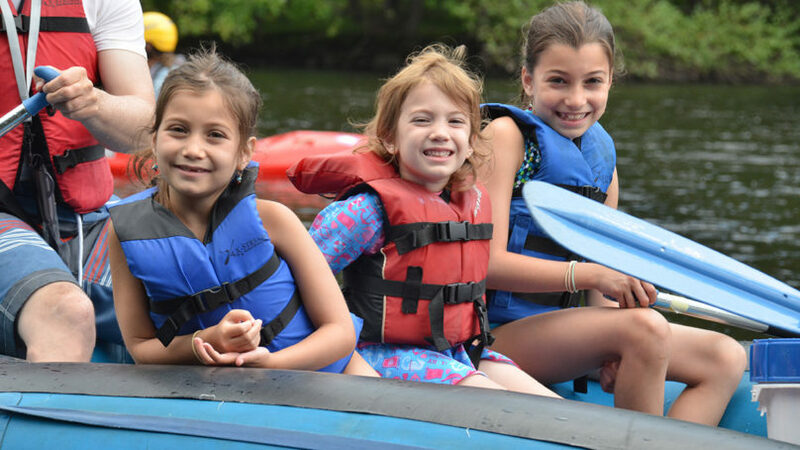 Whether you’re paddling through whitewater rapids, enjoying the passing scenery, kicking your feet over the edge of the raft or taking a swim in the river, we guarantee you will have a great time making memories with your friends and family. Don’t forget, you can also go Rail Trail Biking or play Skirmish Paintball. Call 570-325-8430 or Click for more information on biking and paintball in the Poconos. 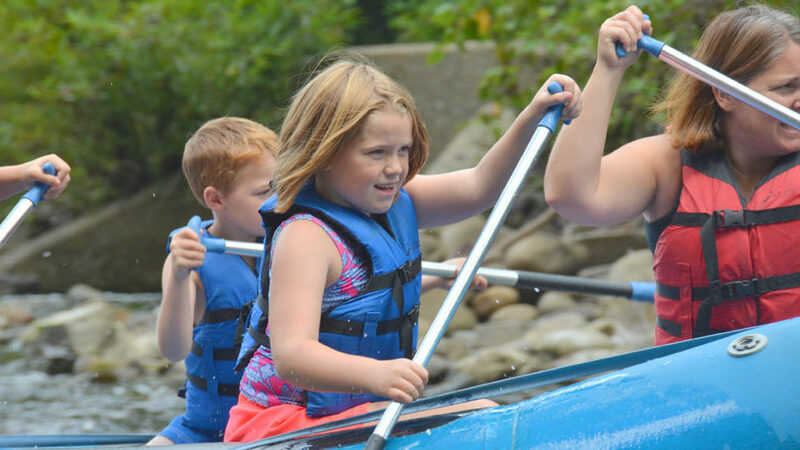 One of the most unique things about our summer family style rafting adventure is the Free, All-You-Can-Eat, Riverside Barbecue! Our free BBQ is offered Memorial Day through Labor Day and weekends in May, September and October. Our staff cooks and serves you a picnic lunch – hotdogs, macaroni salad, chips, fruit, lemonade and water… the classic family picnic! No eating on river rocks here at Pocono Whitewater Adventures! We have our very own riverside meadow – complete with picnic tables, food service, and portable restrooms. Bring your family and friends for a healthy day in the Poconos. 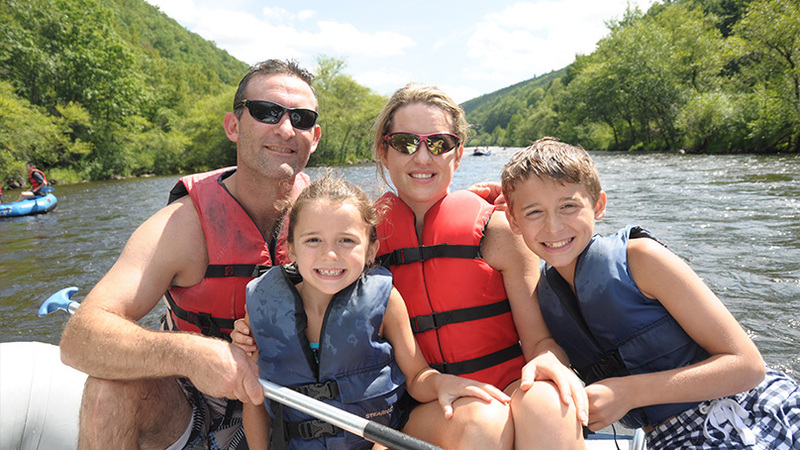 It’s so easy and everything you need for a fun day on the Lehigh River is provided. 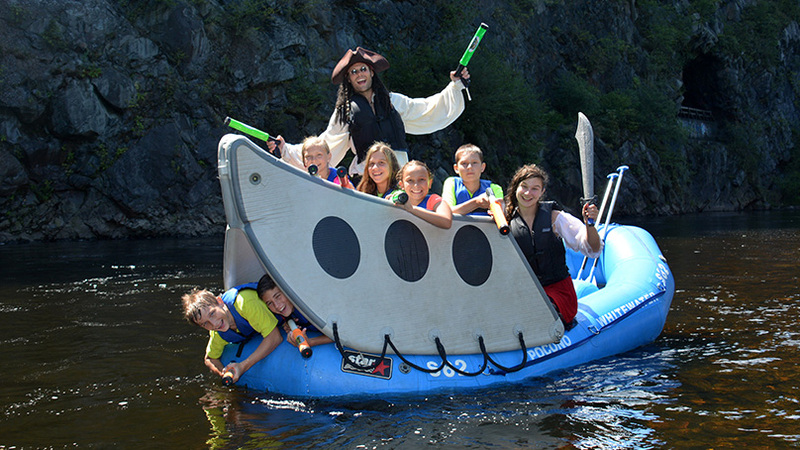 We now offer Pirate Adventures on select family style whitewater rafting trips. Pirates will attack rafting trips booked on weekends (Saturday/Sunday) in June AND daily (7 days a week) in July and August when your check in time is between 10:30am and noon. 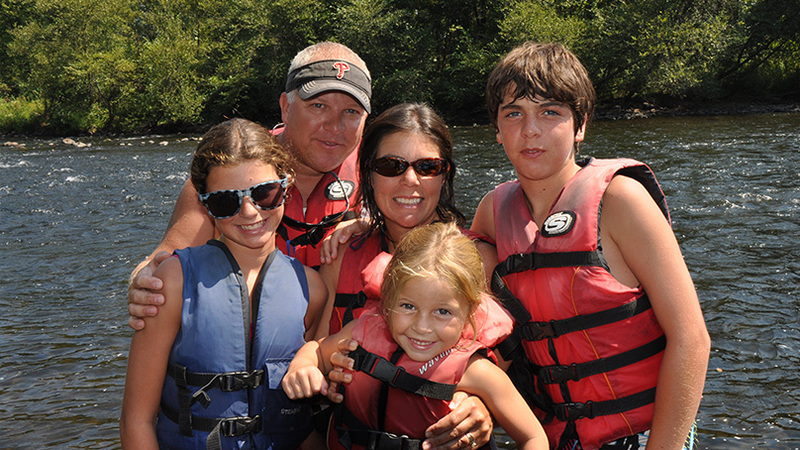 Click here for all the Pocono Pirate rafting details. Looking for a half day trip? From Memorial Day through Labor Day, you can arrive at 1 pm midweek or 3 pm weekends to take an express trip. This is a slightly faster family style whitewater rafting trip that does not include our barbecue lunch. Reservations are strongly recommended. Each raft can accommodate 4 to 6 people. You will stop for lunch. A free all-you-can-eat riverside BBQ lunch is provided from Memorial Day through Labor Day and weekends in May, September and October. On days when our free riverside BBQ is not available, sub lunches can be purchased from our Broken Paddle Bar and Grill upon your arrival. Vegetarian lunch options are available. Please call for details. If you forget something you can pick it up in our rafting retail shop. 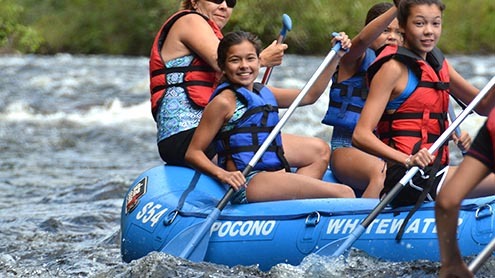 Your photo is taken on the river and available for purchase in our store at the end of your day or online at PoconoWhitewaterPhotos.com. 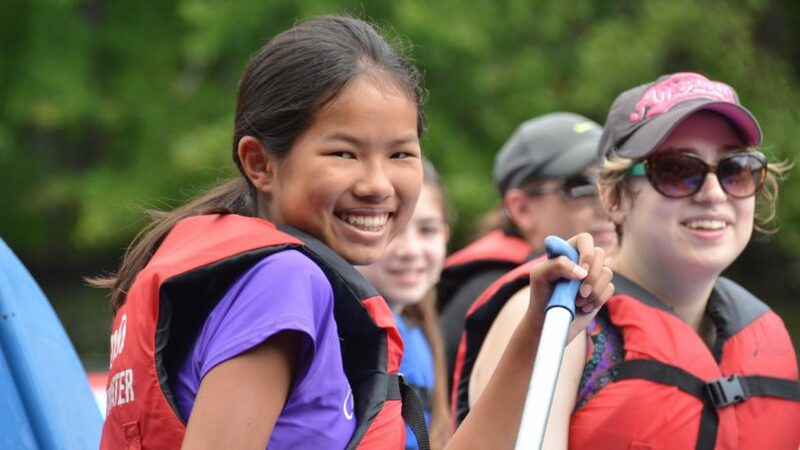 Group (10+) – Check out all of our FREE Whitewater Rafting Group Leader Benefits! Please visit our youth group page for youth program details, discounted pricing & available dates. Free riverside BBQ lunch served daily in our exclusive riverside picnic area from Memorial Day through Labor Day & weekends in May, September and October. 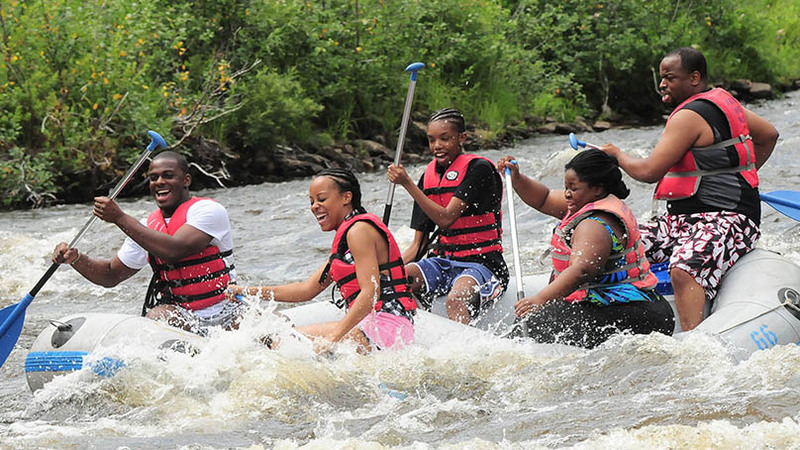 If you are looking for a little more adventurous trip, our Dam Release Whitewater Rafting Trip is an alternate option.